I participated this month in the DVD Talk Forum’s annual October Horror Challenge and I’ve managed to see a number of movies with ghostly themes and am struck by the wide range of treatments ghosts get in the movies. In the actual literature on reported ghost encounters in real life, ghosts usually manifest themselves by making noises and moving objects at haunted sites, but also making brief appearances to those individuals with the sensitivity to see such apparitions. Reported encounters in isolated places have included brief conversations between humans and ghosts, and even occasional sensations of physical contact by ghosts. 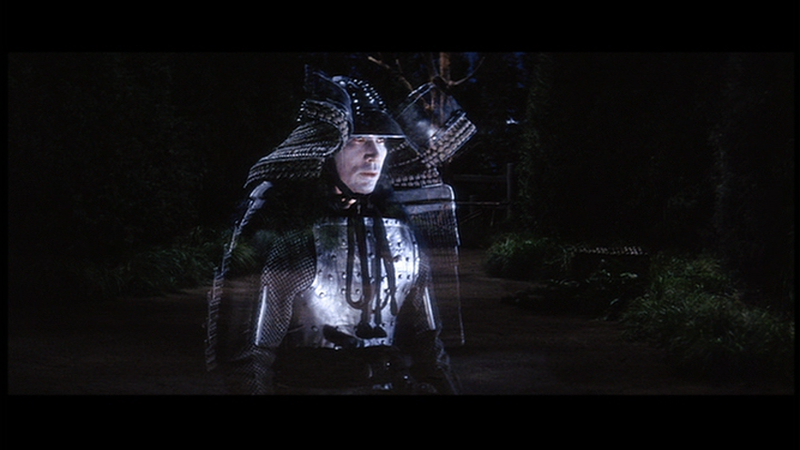 In the movies, however, human characters routinely have long, intricate conversations with ghosts, take long, leisurely walks with them in both daytime and nighttime settings, have swordfights with them, and even make love to them. Ghosts in movies sometimes conform to the old spooky stereotype and bring their hands up in threatening gestures (“ooga booga”) and terrorize living humans, sometimes to the point of death. While ghost movies are generally as far-fetched as vampire, werewolf and zombie movies, they do offer a greater latitude of genre choices. Ghosts pop up in romances, comedies, musicals, horror, adventure, revenge thrillers, monster movies, and the occasional historical epic. Films as diverse as THE INNOCENTS, BLITHE SPIRIT, TOPPER, BEETLEJUICE, GHOSTBUSTERS, THE SIXTH SENSE, THE EYE, THE SHINING, SPIRITED AWAY, POLTERGEIST, CARNIVAL OF SOULS, UGETSU, GHOST, FIELD OF DREAMS and the PIRATES OF THE CARIBBEAN movies have all featured ghosts. Categories Chinese Cinema, Criterion, Hollywood Cinema, Hong Kong Cinema, Japanese animation, Japanese cinema, Shaw Bros.
On Friday, June 12, 2015, I paid a trip to the Museum of Modern Art to see a 35mm showing of the 1929 two-color Technicolor silent film, REDSKIN. 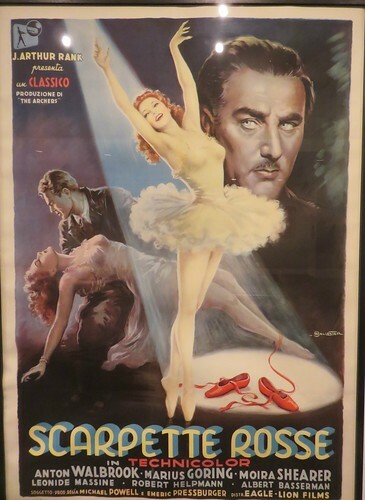 I was pleasantly surprised to see some spectacular film posters adorning the walls of the lobby area outside the theater and in other spaces in the museum. These posters were all from Martin Scorsese’s collection and were on display as part of an exhibit entitled, “Scorsese Collects.” The exhibit remains on display until October 25, 2015 and I urge interested parties in the New York area to visit the Museum (preferably on a Friday night when film screenings are free) and see them up close. 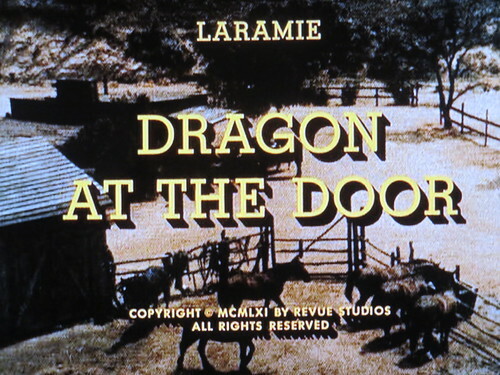 “Dragon at the Door,” the first episode of Season 3 of “Laramie,” was the TV episode I watched back in January 2012 that first stimulated my interest in exploring the topic of Asian characters in TV westerns. 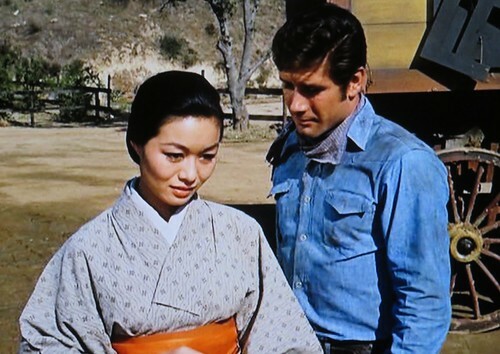 It was included on a DVD called “Top TV Westerns” and it prompted my search on IMDB for other TV episodes with similar themes. This episode also aired, in a much better copy, on the Encore Western Channel on September 29, 2015. I watched it in high-def and took screen shots from it.